A political tug-o-war over the appointment of the Central Bank Governor continued yesterday, with Prime Minister Ranil Wickremesinghe making a public statement that the controversial incumbent Arjuna Mahendran could not be removed from office since the charges against him had never been proved. “We are not protecting anyone. If the charges are proved I will do the needful,” Wickremesinghe said on State-owned ITN yesterday. The Premier’s announcement came one day after President Maithripala Sirisena tweeted from his official Twitter account that he would be appointing a new Governor for the Central Bank over the “next few hours,” a sign that the rift between the two leaders on the appointment was widening. In an interview with the Independent Television Network which was aired yesterday morning, Premier Wickremesinghe directly contradicted President Sirisena with his remarks that he would act only if charges against Mahendran were proved. “The Governor has said he needs to be exonerated from these charges, or there is no point. There may be charges but none of those charges have been proved yet. If it is proved, I will do what is necessary,” the Prime Minister told ITN during the brief interview. He said the three-lawyer committee appointed to probe the alleged bond scam had not found evidence of wrongdoing by Mahendran. The Government then submitted that report to the Police in order to find out if there was a case to be filed. “The Police said there was no legal case to be filed,” Wickremesinghe charged. “Then the fundamental rights application in Supreme Court was dismissed. So in these circumstances we can’t remove him,” he asserted. Prime Minister Wickremesinghe said that the Government had finally even asked Parliament to probe the Treasury bond issue. “Now Parliament has begun that work through the COPE,” he said. The Prime Minister made these remarkswhile he was at a ceremony to open a new ITN studio in Battaramulla yesterday. Governor Mahendran’s term ended yesterday (30) and he has indicated to the Monetary Board of Sri Lanka, the Central Bank’s legal governing authority, that he would not be seeking reappointment until the Parliamentary oversight committee COPE completed its investigation into the controversial Treasury bond issues of 2015 and 2016. The Premier’s remarks yesterday, compounded by the Government’s failure to announce its new appointee for Central Bank Governor, indicates that the issue has now become a major fault line inside the ruling coalition and has spilled out into the public domain, political observers said. Prime Minister Wickremesinghe is seen to be heavily backing the incumbent Governor, while President Sirisena went public in June 2015 with his opinion that Mahendran was unsuited for the office and should resign in the wake of the Treasury bond scandal. During a special statement ahead of the elections, President Sirisena warned that continuing to keep Governor Mahendran in office would damage the Prime Minister. On Wednesday, social media and political circles were buzzing with speculation about the candidate for Governor after the President’s tweet, but the day closed without a formal announcement about the new candidate and news of a fresh stalemate within the coalition over the nominee. 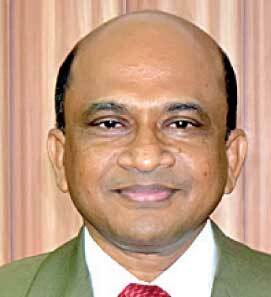 Highly placed sources said the Prime Minister could be favouring a stop-gap appointment until the COPE investigation into the alleged bond scam was completed and Mahendran cleared paving the way for a re-appointment. However, President Sirisena was inclined to appoint the senior most deputy governor as the new governor of the Central Bank, the sources said. Other analysts said a possible way out of the impasse was a compromise candidate with whom both the President and the Prime Minister can be comfortable. Meanwhile, the Monetary Board of Sri Lanka held an emergency meeting last evening, but stopped short of appointing a Senior Deputy Governor to oversee some of the functions and duties in the Governor’s absence. Governor Arjuna Mahendran’s term ended officially at 6 p.m. yesterday. However a formal announcement to this effect was not made by the Central Bank. The Auditor General of Sri Lanka has concluded that the Treasury had lost a cumulative Rs. 1.6 billion from two controversial Treasury Bond auctions and found that Governor Arjuna Mahendran had failed to exercise “due professional care” demanded by his position. According to sections of the Auditor General’s report to the Committee on Public Enterprises that were leaked on the internet and shared across social media yesterday, the Treasury lost an estimated Rs. 889.3 million in the February 2015 bond auction and an estimated Rs. 784.8 million in the March 2016 bond auction that his Department was commissioned to audit. “It has been concluded that authorities must take responsibility for the failure to prevent these losses,” the leaked report, dated 29 June 2016 states. “According to information obtained by the Auditor General in drafting this report and as revealed in the preceding paragraphs, it has not been found that in the exercise of his duties, the Central Bank Governor has maintained the standards of due professional care expected of his position” the leaked version of the report states.